Thanksgiving is next week; Christmas will soon follow. I started my shopping and planning the Christmas decor. I'm hearing carols and the channel is stuck on Hallmark, so all of this means it's time for lights, parties, and the like. But, I know many wish that Christmas didn't bypass Thanksgiving or that shopping would start on Black Friday. And while I love turkey and family feasts, there's just something about Christmas for me. 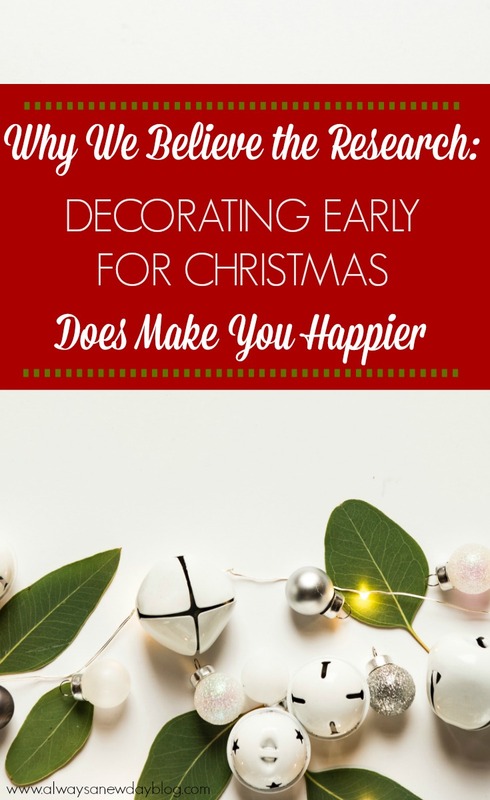 And to fuel the debate, research has come out saying that those who decorate earlier are just happier folks. I say, what is wrong with that? In a crazy world of worry and sorrow, I see nothing wrong with connecting - at anytime - to something that gives you joy. Something that brings you back to childhood memories. Something that creates even bigger memories for your kids. That's why my family believes the research - decorating early makes you happy. My Christmas memories from when I was younger are so vivid still. One of my favorite things was being in charge of turning on the outside lights - from plugging in the porch lights or turning on each lighted candle in our windows. I took my job seriously. I remember watching Christmas specials (The Brady Bunch one was my favorite), shopping at the Galleria, and the cardboard fireplace my Grandmother set up each year. The cousins would do a gift swap after we sang the 12 Days of Christmas to our large family. I could barely sleep on Christmas Eve knowing what was to come. Now that I have children, Christmas excites me even more. Now that I have lost loved ones, Christmas brings me JOY when so many days are filled with sadness that those memories are no more. So, when I decorate before Thanksgiving, think of me. Think of the excitement my kids have knowing the holidays are coming. Think of them taking the light boss job seriously. Think of my mom who decided to decorate, too, because in glimpses of sadness, this season brings peace. We do long for Christmases past and miss those no longer with us. I wish we could all gather in my Maw Maw's living room and watch my uncle dress as Santa. I wish my brother was here to give my mom a cat again this year (she doesn't, trust me). I wish my dad was here to bundle up and go for a ride on his new mountain bike. And, if we decide that season starts in November, let us. If we decide to put up a tree because the lights make the cold nights brighter, let us. If we decide that Christmas carols and holiday movies are starting before Thanksgiving, let us. 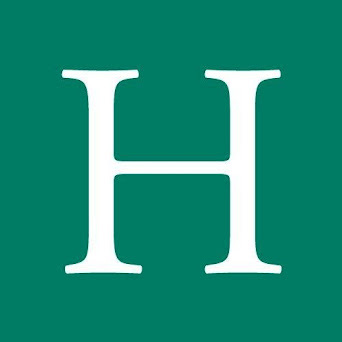 You do not need to understand why others do things differently. You don't know their reasons why because sometimes we don't either. What we do know is when we find small spots of joy, we hold on so tight hoping they last. 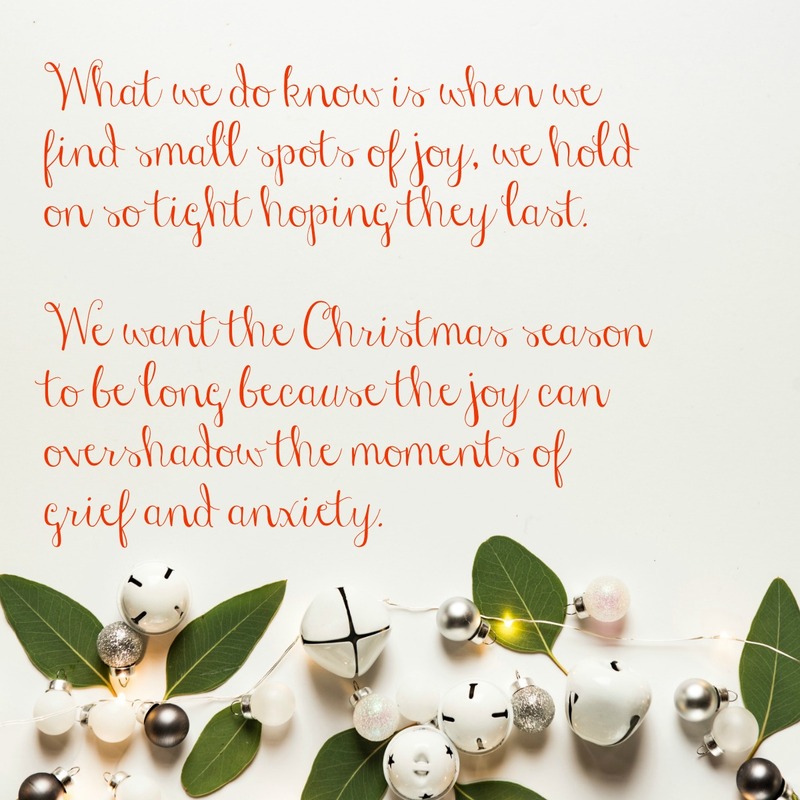 We want the Christmas season to be long because the joy can overshadow the moments of grief and anxiety. Of course, we will grieve. We will stress. We will deal with festive, holiday anxiety. 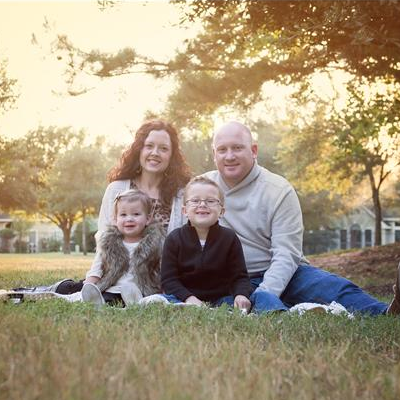 But, when we are together, and the kids are giggling, we get a reprieve from loss and worry. We remember the reason for the season when we see the little ones filled with joy. Happy Holidays, friends. Do what makes you happy. Find joy today, on Thanksgiving, and during the entire holiday season.